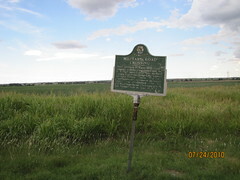 Here, between 1874 and 1890, supply wagons, a daily stage coach and the U. S. Mail moved over this earliest known trail from Dodge City, Kansas to Fort Elliott, Texas. 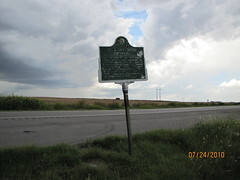 The fort first known as Cantonment on Sweetwater" was established after the Kiowa, Comanche and Cheyenne attack on Adobe Walls in June of 1874. 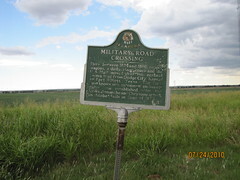 Northwest of Fort Supply, Oklahoma, on Highway 3.